You know when that Hot Tan Bling, that can only mean one thing dark, bold color is on its way. 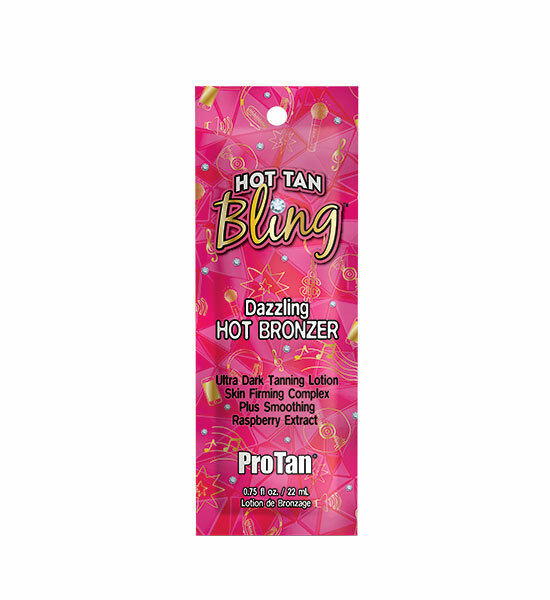 This Dazzling Hot Bronzer combines rich tanning ingredients with DHA and skin stimulators for fierce bronzing results while Raspberry Extract helps your skin look and feel silky, smooth and soft. A Skin Firming Complex plus Caffeine takes your tan to new levels of bronze color. No need for late night calls when you have everything need right here. DHA Bronzers help provide darker, longer lasting color. Red Hot Skin Stimulators bring the heat for an instant tingling sensation. Raspberry Extract provides nutrients for helping to maintain a more smooth, youthful appearance.